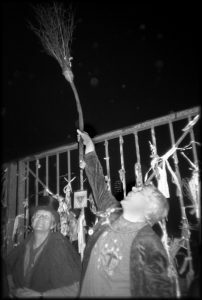 The Halloween of Cross Bones Yard is an annual ritual drama to honour the spirits of The Goose and the outcast dead of Crossbones and to reclaim the old pauper’s burial ground as a sacred site. 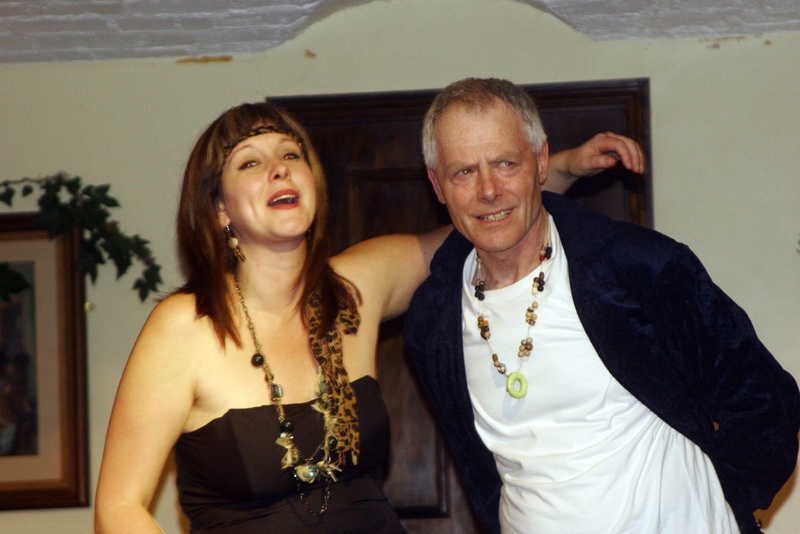 The ritual was first performed in Southwark Playhouse on 31st October 1998, conducted by John Constable in his John Crow persona, with the actress Di Sherlock in the role of The Goose, the singer Francine Luce and actor Duncan Law. took the spotlight and told us, to righteous, warm applause, about her progress from massage parlour to tantric enlightenment. 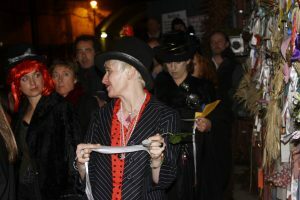 The performance was followed by a candlelit procession to the site of the Crossbones graveyard, where the dead were honoured with candles and precious offerings. The event coincided with a ‘London Bodies’ exhibition featuring a ‘young woman’s syphilitic skull with multiple erosive lesions, from Red Cross Way, Southwark, 18th century’. 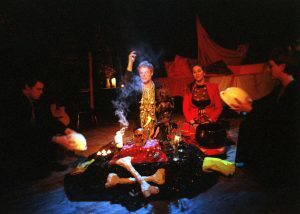 The Halloween of Cross Bones was conducted every year from 1998 to 2010. Over these 13 annual performances, the ceremonial drama evolved its own ritual forms. There’s an Altar to the Ancestors, on which participants offer personal mementoes or photographs of lost loved ones, along with morsels to feed the hungry ghosts. A Goddess Priestess conducts a samhain ritual in honour of the pagan new year, when the veil between the worlds is thinnest. Spirits of the dead. Spirits of the Living. Kindred. Welcome. The Spirit in the flesh, the Sacred in the profane, Eternity in time. The form of the ritual embodies these contraries: combining a sense of awe and reverence with a playful, bawdy humour befitting The Goose. It presents a syncretic vision of healing, liberation and transformation, rooted in native pagan animism and John Crow’s idiosyncratic Goddess worship, and encompassing elements of ‘left-hand’ Magdalene Gnosticism, Buddhism, Tantra, spiritualism and the Western Magical Tradition. However, Crow has always asserted that The Goose’s teachings are not a doctrine, creed or belief-system. They can best be understood as a spiritual practice in which conflicting ideas can co-exist within a spiritual or astral state of ‘Liberty’ or an ongoing process of liberation. The Southwark Mysteries and other teachings of the Goose-Crow source are revealed in poetry and song, as allusions and emblems of that which cannot be spoken, rather than as literal, ‘gospel’ truth. Participants are given a ribbon recording the the name, address, profession and year of death of someone buried in Cross Bones. These records were retrieved from the London Metropolitan Archives. People are asked to tie the ribbon around their wrist and to adopt their spirit for the course of the ritual. CLICK FOR photo sets by Max Reeves: The Halloween of Crossbones X (2007, colour) and VIII (2005, b/w). 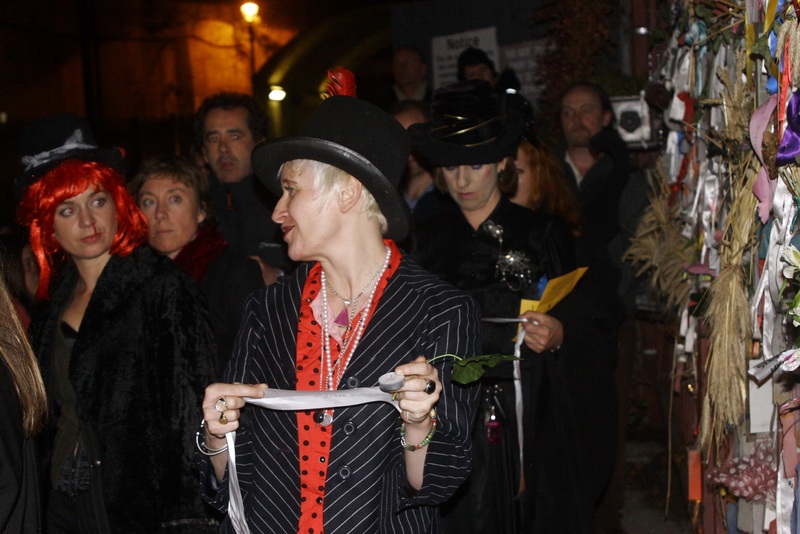 Each performance flows seamlessly into a candlelit procession to the Cross Bones site. There, the ribbons and other totems are tied to the bars of the iron gates, the names of the dead read aloud and prayers said to light their ‘open pathways’. 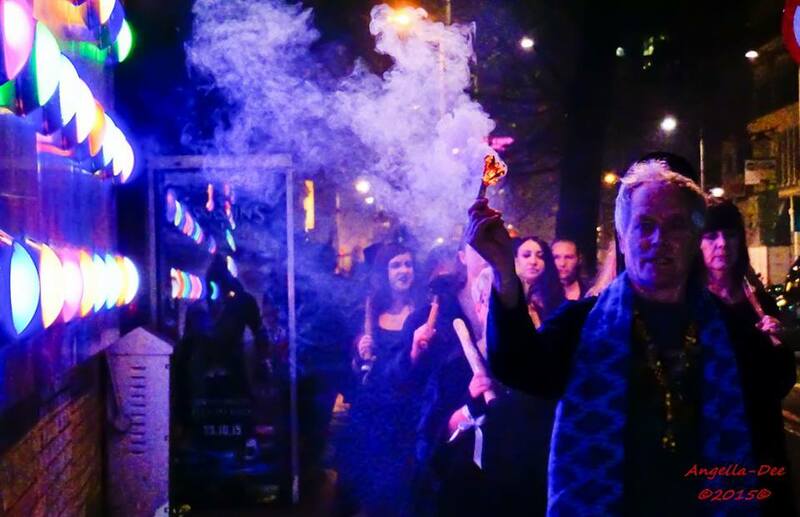 These ritual performances have been conducted in venues all around the Borough – The Drome (later SEOne and Venue) in the old caverns under London Bridge station, the former Green Angels community space, The Ragged School, The Ship Inn, The Hop Cellars in Southwark Street and The Table Restaurant. Each performance was followed by the procession to the shrine at the Memorial Gates. The first 11 Halloween of Cross Bones rituals were conducted by John Crow, variously assisted by the Irish poet and musician Niall McDevitt and actor-singer Michelle Watson, who played the part of The Goose for 7 of the first 10 annual performances. Jahnet de Light led the tantric pulse for the first 10 Halloweens, and trained her Whores d’Oevres to hold the space for this third aspect of the triple ritual at the eleventh. in emptiness incarnate in us and our all works. 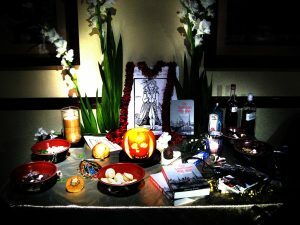 The 13th Halloween of Crossbones, on 31st October 2010, completed a magical cycle. As Crow called out the Goose blessing at the gates, a chevron of five wild geese flew directly over the graveyard. From 2011 to 2014, as The Halloween of Crossbones took a break, the Samhain observances were made at the October vigil. The Halloween of Crossbones was revived in 2015 and 2016. 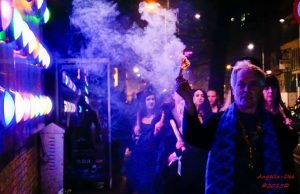 The performance featured a procession led by Wolf’s Head And Vixen, the Border Morris dance troupe, culminating in them ‘dancing with the dead’ on the Crossbones burial ground.